Hands down, Search Engine Optimization is still at the heart of digital marketing. And while startup marketing best practices suggest optimizing for SEO, startups often struggle to learn their way around it. Most entrepreneurs resort to allocating big bucks on advertising and paid promotions instead of opting for SEO optimization. And while paid avenues certainly have a quick turn-around time, they fail to contribute towards the long-term authenticity and brand value of the website. To veer your tech startup towards acquiring a strong digital presence, you need to invest in optimizing your website for SEO. Think about it, what’s the point of having a super slick website if nobody can find it? SEO helps people to find your business on the internet. 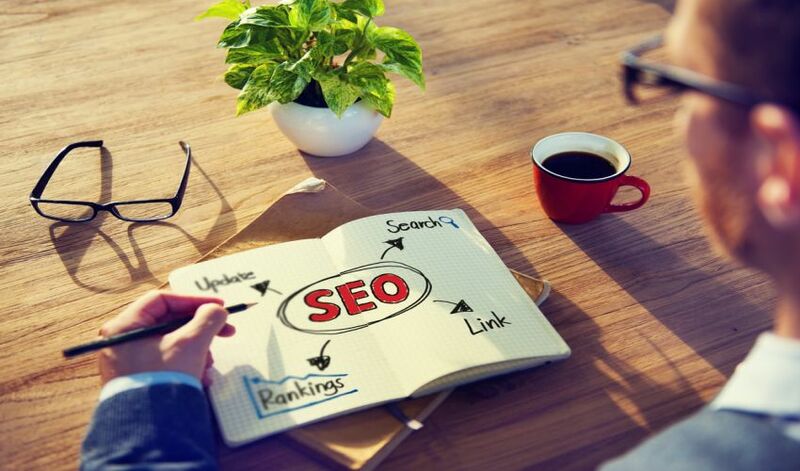 And in this era of break-neck competition, a strong SEO strategy can be the defining factor between a startup that makes it big and one that fails to take off. Given that startups have limited resources and know-how when it comes to SEO, this can be a bit arduous and challenging. We’ve listed 3 optimizations that you should invest in to help your tech startup win at SEO. Creating a dedicated blog section and investing in content marketing is probably the smartest way to boost your SEO rank. Search engines love new content and so, having a content strategy in place is absolutely imperative for SEO. Value-driven: Publish content that answers customer queries or addresses issues faced by tech brands in your niche or something unique and interesting that your audience won’t find anywhere else. Garners Backlinks: The best qualifier for valuable content is when it starts earning backlinks from trusted websites and sources. Sharable: Publish content that people can discover and share on social media with their friends and social circle. Omnichannel: To reach more people and engage with them, you should create content apart from blog posts. Invest in creating eBooks, podcasts, videos, infographics, images, and any other relevant multimedia content. Visually Appealing: Make your blog posts visually appealing by using high-quality images and using smart typography along with sufficient whitespace. Optimize for Keywords: All your content pieces must be optimized for relevant keywords. Use long tail keywords and phrases to rank high on search engines. Actionable: Include relevant links and call to actions to improve search rankings and for your readers to turn into customers. Another great way to go about plotting your content marketing and blogging strategy is to look around see what big brands in your niche are doing. See what keywords they are ranking for and what topics they are writing about. You can pick topics that they have skipped out on and drive traffic to your website. SEO is all about search intent and that means you need to use the right keywords in the content of your website. If your tech startup is in the business of offering Artificial Intelligence based software to automate marketing, then use keywords such as ‘AI, Artificial Intelligence, Smart Marketing, Automated Marketing’. You can get more specific by adding your location such as ‘Smart Marketing Services in London’ to optimize for voice search and to rank higher for those keywords. Identify specific keywords and phrases that people use to search for you on the internet or to search for products and services in your industry. You can also study what your competitors are doing. Make a list of keywords most applicable to your tech brand or your core competency and use keyword finding tools to study the keyword difficulty and search volume of the particular keywords you wish to rank for. Target keywords with a medium range search volume and a low keyword difficulty to reach the first SERP faster. If you plan to invest in starting a blog section for your website, you can comfortably include long tail keywords such as ‘automate your marketing activities using artificial intelligence’ to resonate with search queries. These simple hacks will help your website rank higher on search engines and will also help you to prepare for the era of voice search. Page URL: Your page URL should include your primary keyword and be free of any stop words. A URL such as brandname.online/your-page makes for a clean, crisp, and SEO friendly link. Page Titles: Include your main keyword in your page title while keeping it readable, contextual, and descriptive. Use Headings: Divide your page content into logical portions by using headings tags (h1, h2, h3, h4). Quality Content: Craft high quality, high-value content that is contextual, relevant and rich in keywords. Use Images: Break texts by using relevant images and optimize them with the right alt descriptions. Internal Links: All content on your website should link internally to other relevant pages. Ensure that the anchor text is similar to the URL of the page you are linking to. Responsive Design: Your website and all its pages should be optimized for all devices. Since search mainly happens over smartphones and smart tablets, it is wise to optimize your website design to be device agnostic. SEO does not deliver instant results, and so it is important to be patient about the outcome. SEO is a long-term investment which is why it should be tailor-made for your tech business and your target audience. Don’t blindly mimic another brand’s successful SEO strategy as it may not work for you.